Magnetic Tape 1"wide x .062"thick x 12" Long Make signs or sign holders with this easy-to-cut strip that's sticky on one side and magnetic on the other. Magnetic Tape 2"wide x .062"thick x 12" long Make signs or sign holders with this easy-to-cut strip that's sticky on one side and magnetic on the other. Double-Stick Foam Tape 3/4"wide x 216ft long. 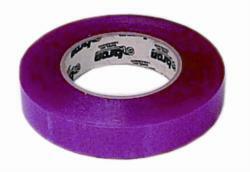 1/16" thick foam tape permanently attaches componenets with its rubber based adhesive. Easy to apply. 216ft roll. 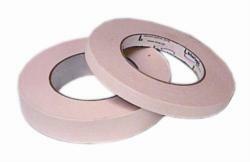 Double Stick Masking Tape 1/2" wide x 108' long. Thin, rubber-based adhesive paper tape bontds to almost any surface. Great for stack-routing material. Double Stick Masking Tape 1"wide x 108 ft long. Thin, rubber-based adhesive paper tape bontds to almost any surface. Great for stack-routing material. Clear Double Stick Tape 1/2"wide x 108'long Clear, UV Resistant, acrylic adhesive tape is excellent for indoor and outdoor applications. Permanently bonds.